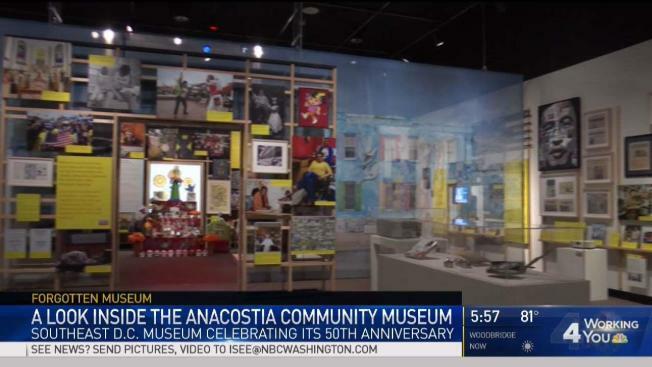 The Anacostia Community Museum is closing from March 15 through mid-October for a renovations project aimed to improve the visitor experience and create an outdoor space for community events. The $3.5 million project will improve pedestrian access, accommodate school buses, update HVAC and interior lighting and increase outdoor space for visitors, the Smithsonian says. The new outdoor space will include a large area for groups, programming and festivals, the museum's deputy director, Sharon Reinckens, said. But construction will limit access to the building, forcing the museum's main site to close. The museum badly needs those upgrades and will continue programming in other locations until it can reopen, Reinckens said. The museum's main gallery exhibition, "A Right to the City," will be transformed into a series of pop-up exhibits featured at libraries in the communities they highlight. Locations include public libraries in Shaw, Mount Pleasant, Woodridge, Anacostia and Southwest. Most of the satellite exhibits will open on March 15, according to a press release. The museum announced the closure at the end of February, and some were surprised by the short notice. Reinckens says the government shutdown that began in December threw the museum's plans into uncertainty. But she says all staff will remain to carry out community and pop-up programs, many in partnership with organizations including Busboys and Poets, Martha's Table and the D.C. Public Library. Off-site programming includes author talks, film screenings and more. You can find out more on the museum's online calendar. After the renovation, the museum will reveal an updated version of the "A Right to the City" exhibition, which will stay open until April 20, 2020.